Amplitude Studios are masters of 4x strategy. Their masterpiece Endless Space has completely supplanted Master of Orion and Sins of a Solar Empire as my favorite 4x space strategy game. Now they've expanded their universe and brought the same mechanics to a fantasy realm. 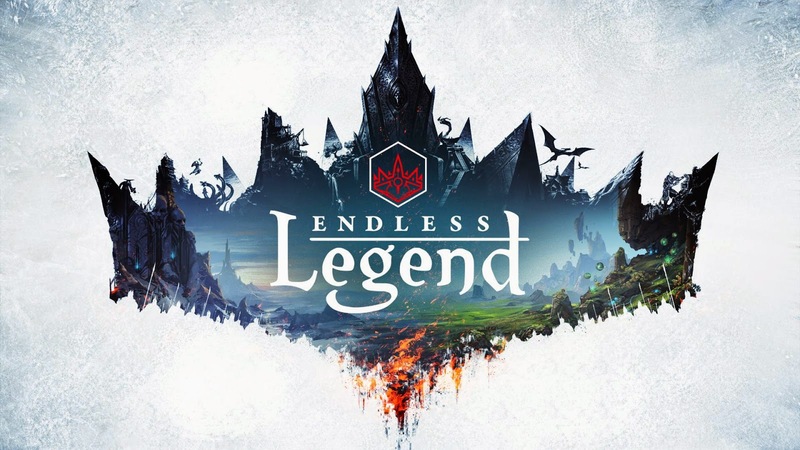 Enter Endless Legend, currently in Early Access on Steam. 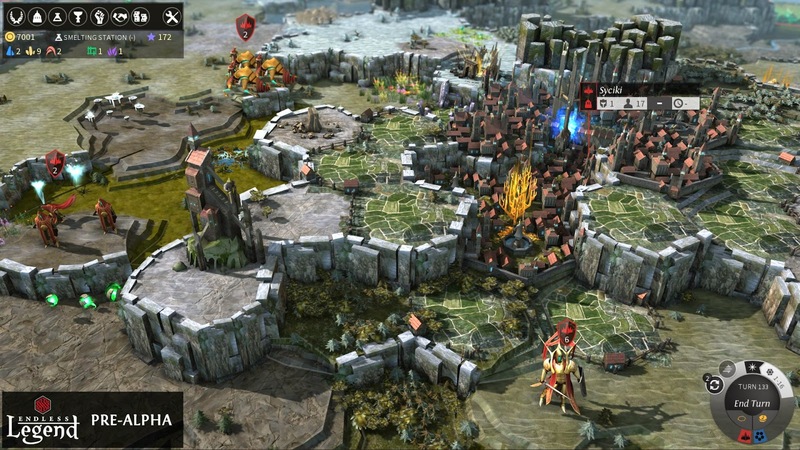 Endless Legend tells a story of several different factions trying to adapt to a changing world. Each has different strengths and weaknesses. I'm currently playing as the Broken Lords, who are essentially animated suits of armor. Being largely constructs, they need very little to sustain themselves, but rely heavily of Dust, the currency of Endless Legend. The other civilizations fill out the world nicely. Six are available now, with two more promised by the time the game is released. The Wild Walkers and the naturalistic elves (with head tentacles like Twi'lek). The Necrophage lives up to it's root words as a sentient, insectoid, zombie plague. The Vaulters are essentially dwarves, loosely organized but wielding powerful technology. The Ardent Mages are scheming magicians, awash with magical abilities. The Roving Clans are nomads who prefer trade over war. The single player campaign gives your civilization quests to advance their story. The early goals of these quests are usually something simple; check out those ruins, defeat these rebels. Side quests offer tradeable goods and even magical arms and armor for your units and heroes. Every unit improves with experience and the hero units have their own skill trees that add varied bonuses to the units with them and cities they occupy. The customization doesn't stop there. Your overall civilization earns reputation points which can be allocated to your economy, sciences, military or trade abilities. There is also a fully realized tech tree for each faction, full of unique buildings, units and abilities. The units you create can even be customized, swapping out armor and weapons for varied tactics and play styles. With so many options for personalization, the faction you choose at the start of the game may look nothing like the one you finish with. While the characters won't look very different as the game wears on, you aren't likely to mind as the art in the game is absolutely stunning. The units of each faction are well rendered, and the 2d art in the game is some of the best I've seen. As much as I love Endless Legend, I'm admittedly biased. I've played Endless Space to death and have a long and sordid(?) history with 4x games. There are still some key features missing from the game that make it less accessible for players unfamiliar with Amplitude's previous titles. Chief among these is the total absence of a tutorial. The community is very helpful and there are a few tutorial videos put up by fans and streamers on YouTube but those looking to jump in may quickly find the game overwhelming. The final game will feature tutorials for the numerous elements that make up the game. Endless Legend is equal parts Civilization V, Diablo, Total War and Tolkein. The mechanics are intricate and flexible. It is absolutely at the top of its genre.However, it is still unfinished and any novice should keep this in mind before purchasing. For now, it's a game that caters more towards the experienced strategy crowd. For those well acquainted with deep strategy gaming, Endless Legend is available here.